Across the Divide: From #MeToo to What Now? This Across the Divide event took place at Good City Brewing. For months, women across the country, and right here in Milwaukee, have been making a concerted effort to share their stories of workplace sexual harassment. The movement is called #MeToo. With so many stories being shared, many people are now asking: so what happens now? Where do we go from here? 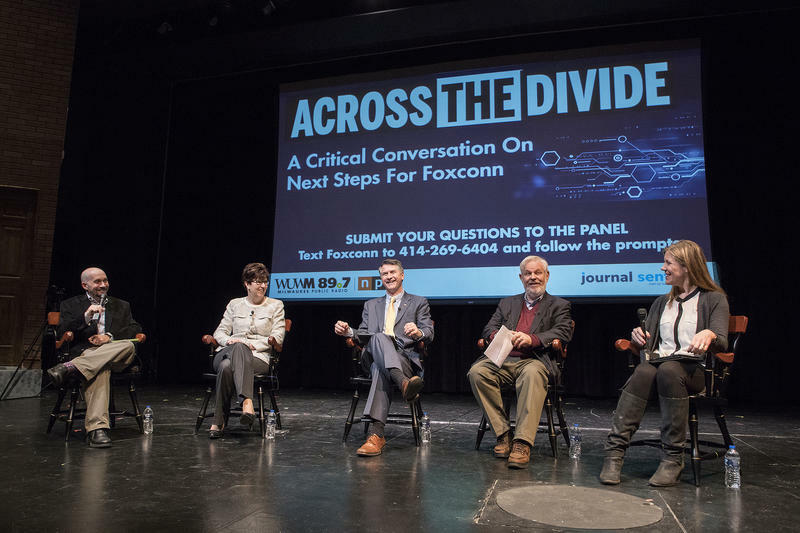 That was the topic of a community forum, titled Across the Divide: From #MeToo to What Now?, hosted Tuesday night by WUWM and the Milwaukee Journal Sentinel at Good City Brewing in Milwaukee. About 100 people attended Across the Divide: From #MeToo to What Now? in Milwaukee. Katie Mullen, co-owner of BlackPaint Studios and founder of From Here to Her Artist Collective. What has the media got wrong? Rhonda Ware, founder of UR Aware, LLC and national trainer for Mentor's in Violence Prevention. Lina Juarbe, director of community engagement for A Call to Men and the founding director of The Healing Center. Nola Hitchcock Cross, managing partner of Cross Law Firm. What should the conversation sound like when a parent/mentor is talking to a young person about what they see going wrong? The planned Foxconn factory in Racine County will be the largest development deal in Wisconsin history. Company and state officials say the facility, which will make LCD screens, could employ as many as 10,000 people and has the potential to transform the local economy. But with promises and predictions, have come questions: Who stands to benefit from the jobs? What impact will the factory have on local taxes? How will the environment be impacted? For years, state lawmakers have been expanding school choice throughout Wisconsin, allowing public dollars to follow kids to private schools. Now, the Trump administration is looking to expand voucher programs nationally. WUWM and the Milwaukee Journal Sentinel held a community conversation, titled Across the Divide: Where is School Choice Header Under President Trump?, at Anodyne Coffee in Walker's Point on September 19 to bring together people with different perspectives on school choice. WUWM and the Milwaukee Journal Sentinel hosted Across the Divide: New Realities for Immigrants, an event at Carroll University in Waukesha. 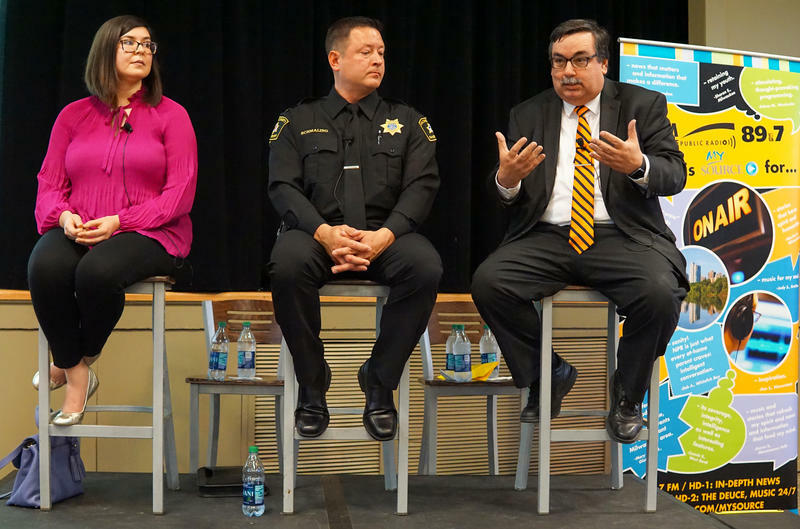 On Monday, May 22, panelists shared their thoughts and experiences with community members about an issue that is as complicated as ever.